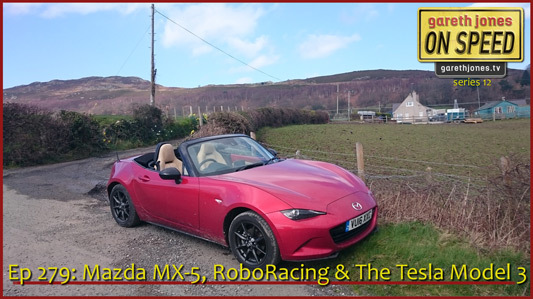 #279 Mazda MX-5, Robo Racing and The Tesla Model 3. Gareth drives the 4th generation of the Japanese roadster. Do race cars need drivers? The latest futuristic electro car from Elon Musk. Comedy from Sniff Petrol. 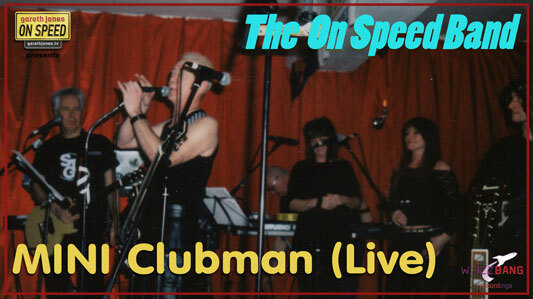 The On Speed Band play MINI Clubman LIVE. All the girls like my Mini Clubman, yeah! Glam Rock boys like my Mini Clubman, yeah! Even if you're driving through south-west London at night. Oh I like the style of my Mini Clubman, yeah! Got quality control by BMW yeah! It's, it’s.... a legroom blitz!